Tried watching the Bingo game, Saint John (Chabot) and Charlottetown (Chlapik). All barely watchable. This is on my phone. Maybe a wired connection would be better but I don't it. wprager wrote: Tried watching the Bingo game, Saint John (Chabot) and Charlottetown (Chlapik). All barely watchable. I don't have experience using Kodi on phones but AHL feeds on Phoenix are typically unwatchable. The feed on Made in Canada IPTV was great. 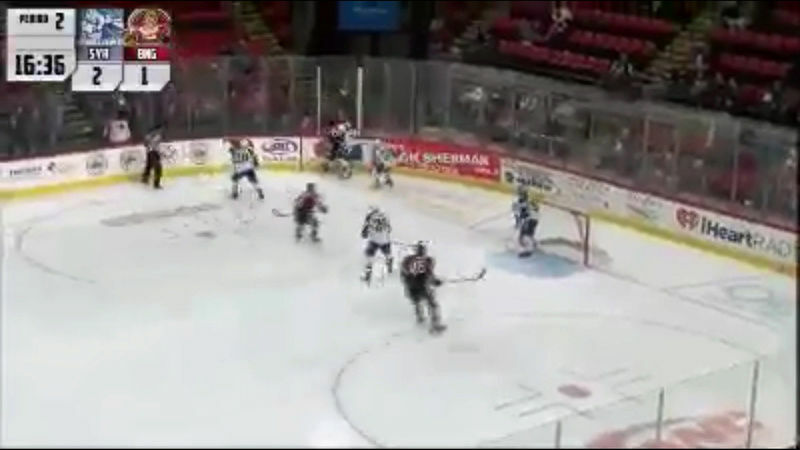 I tested an ECHL game as well. Also great. How'd he look? I know he had an assist and a few chances, but is he NHL ready? DefenceWinsChampionships wrote: How'd he look? I know he had an assist and a few chances, but is he NHL ready? Really good without the puck. Battles hard for loose pucks. Seems to have a little extra something compared to the other guys for sure. GET 'EM UP HERE, DORION!!!!!!!!!!! Patience, grasshopper. Let's see how he does on The Rock. Hogberg should be there by the weekend. He's not that far from St. John's. Hogberg is flying out Saturday. He won't make it to Bingo for either weekend game (tonight, tomorrow) but should be ready for Wednesday. Expecting a little more from White tonight. Not offensive production, but scoring chances, predatory defensive awareness, hard on the forecheck/backcheck. Excellent. Excited about hogberg. Driedger had a tough year statistically, but the team was horrible. Tonight's game will be on RDS and also on one of the SportsPack channels. I don't have either one wiht my TV package but I hope this means there will be a better stream somewhere. wprager wrote: Tonight's game will be on RDS!!! 949 Re: All Things Binghamton Senators!